Fertility Partnership-recognized by the CDC in Atlanta as a top program. 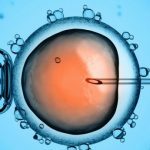 Helping BOTH couples who need donor eggs but find it too expensive AND younger couples who need IVF but cannot afford it. Many people who are struggling to have a baby discover that their egg supply is depleted and they need donor eggs. The medical jargon is “Diminished Ovarian Reserve”. If adoption is not for you, the next step towards having a pregnancy growing inside your own body is to make peace with donor eggs. In order to achieve a baby with the sperm of your choice, (embryo adoption is also an option) you will need to find donor eggs. The reality is that this is a very expensive process. Depending on where you’re located in the country you can spend easily over $30,000+ per cycle with donor eggs. Many spend much more. At Fertility Partnership we are willing to perform a service called a Shared Cycle that is significantly cheaper and yet just as successful (or better than) as other techniques. Unfortunately, very few clinics are willing to offer shared cycles. Why? Perhaps it’s because they tend to be a bit more difficult to coordinate for the clinic staff, but probably the main reason is that the clinic makes significantly less money these cycles. I know that’s a dark and cynical statement-but I stand by it. A shared cycle is when a couple with an excellent egg supply goes through the IVF process and anonymously shares half of the mature eggs retrieved with a couple that is in need of eggs. Typically it is a younger couple who donates that needs IVF but cannot afford it. At Fertility Partnership we ask that the recipient couple cover half the price of the IVF of the donor cycle, the medications, and any laboratory expenses. And so, basically, it is two couples splitting the cost of one IVF. Using the other sources of eggs listed above, the clinic would have been reimbursed for 2 IVF cycles or 1 ½ in the case of frozen eggs from an egg bank and have earned significantly more money. In this scenario, each couple saves thousands of dollars. To expand the shared cycle concept: The donor gets vetted and worked up like any other donor for a genetic, communicable, or psychological disease. The woman must be under 32 years old and have ample ovarian reserve based on ultrasound and blood test parameters. It is an anonymous process. At Fertility Partnership we require that at least six mature eggs be available to give to the recipient couple in order for the process to be completed. Probably the biggest disadvantage is that you cannot flip through a list of donors you would at the sperm or egg bank. If you want that option then you had better be of solid financial means. In other words, your options and choices are limited compared to the others but you will save a lot of money. At Fertility Partnership we will provide you with basic information such as race, this city, weight and height, education and some other details if you require them. At Fertility Partnership we’ve seen a rise in the number of shared cycles that we are doing over the last few years. Perhaps it is a result of changing economy but partially driven by us at our clinic. This is because frozen embryo transfer success rates are now as high or higher than fresh cycles. This has made the process of matching donors and recipients so much easier. We first focus on the donor and getting her eggs and make embryos for her. At the time of the egg retrieval, we split the eggs and we can then make embryos for a fresh transfer to the recipient (embryos from fresh donor eggs have absolutely the highest success rate or live birth rate of all scenarios). Or, if reality dictates it, we freeze those embryos for the recipient for later FET. So if you need an egg donor and are finding it cost prohibitive or if you’re young and can’t afford IVF and are willing to share eggs, contact us at our office at 314-614-7770, or 636-441-7770. At Fertility Partnership we are thrilled to be able to be able to help two couples by having them split the cost of one IVF. Here is a way to initially screen yourself. If you meet all of these criteria, call us and you will be asked to fill out a “Donor History Form”. Calculate your BMI- Basal Metabolic Index here. Your BMI must be 32 or lower. No major chronic illnesses. Allergies and mild asthma will not exclude you. Why would you want to donate your eggs? There are many reasons to want to become an egg donor. I don’t think it’s wrong to say that the strongest motivator is money. You will be compensated well the time and the effort. We think it’s also important to have a sense of wanting to help others who are so desperate to have a child. Can you be injured by donating? Will it hurt your chances of having your own baby? The procedure of retrieving the eggs from the human body is performed hundreds of thousands of times in the United States every year without complication. It is safe. It is done carefully and has a proven safety record. The process does NOT “use up” your egg supply. Why? Retrieving eggs (IVF in general) is really just rescuing eggs that are going to die. What we know is that every month about 1000 eggs wake up from their sleeping or “primordial” condition. They have been basically sleeping since a baby girl’s birth. We believe that once this group of thousand eggs awakens there is a 90-120 day journey until ovulation. During this time they are dying off until only one survives and ovulates (sometimes 2 ovulate and those will be fraternal twins). The medications you will be given when you donate just try to get as many eggs as possible to “maturity” so they can be used to make a baby. Donating your eggs does not affect your egg supply or your ability to have children down the road because these eggs were going to die anyway. You will be paid between 3-10,000 dollars. It will depend on your history and response to the medications. You can donate up to six times. Most people are earning 6-8 thousand by the time they are doing their second donation. If you have done the self-screening above and have passed then call the office we will forward to you a “Donor History Form”. You will review your own personal history and family history. Send that in we will review it and contact you come in for a physical exam. There will be no charge to you for any testing that we do to check your eligibility. So there is no risk to you for just checking to see if you are eligible.